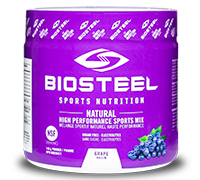 Among the most beneficial and effective supplements in any sports nutrition program are branched chain amino acids. These are the essential amino's: leucine, isoleucine, and valine. The essential BCAA's are of special importance for athletes because they are metabolized in the muscle, rather than in the liver. Essential amino acids cannot be made by the body. You must get them from complete protein foods or combinations of incomplete vegetable foods. There are 9 essential amino acids: Histidine Isoleucine, Leucine, Lysine, Methionine, Phenylalanine, Threonine, Tryptophan and Valine. Your body can make non-essential amino acids by itself from vitamins and other amino acids. The essential branched chain amino acids (BCAA's) are of special importance for athletes because they are metabolized in the muscle, rather than in the liver. Here's how this works: once protein is broken down into individual amino acids these amino's can either be used to build new proteins or be burned as fuel to produce energy. So, in the case of strength or endurance athletes, BCAA's are essentially the parts of protein used as "fuel" and when the stores have been exhausted, the body "strips" or catabolizes lean muscle to get more of them for energy. Up to 15% of energy burned in athletic activity is provided by hard-earned muscle, essentially "eating" what the athlete has been training hard to develop!